Step by step, Bruins’ golf has been getting closer to the state championship, and on Monday the team took another big step forward. The Bruins won the sectional tournament at Old Kinderhook on Monday, which has earned them a ticket to the state championship May 18 and 19 in Sedalia. The Bruins won state last year and are looking to repeat. The team ended sectionals with a total score of 308. Rock Bridge fought the battle well, despite a tough day due to rain and windy conditions. On their way to the sectional tournament, the Bruins won their sixth consecutive district championship on Monday, May 4. Senior Jack Knoesel was a first place medalist shooting a 70; Echelmeier held a close second with a 71. Freshman Hudson Dubinski shot a 74, and senior Ben Humphreys shot an 80. The Bruin’s district championship was a part of an undefeated season so far for Rock Bridge. Competitors have included Hickman, Jefferson City, Moberly and Helias. Throughout the postseason so far, Echelmeier said Rock Bridge is the only team with a deep roster in and out. Others were also proud of the Bruins’ exemplary performance in that match. Combining for a total score of 292, they easily got the win at districts. 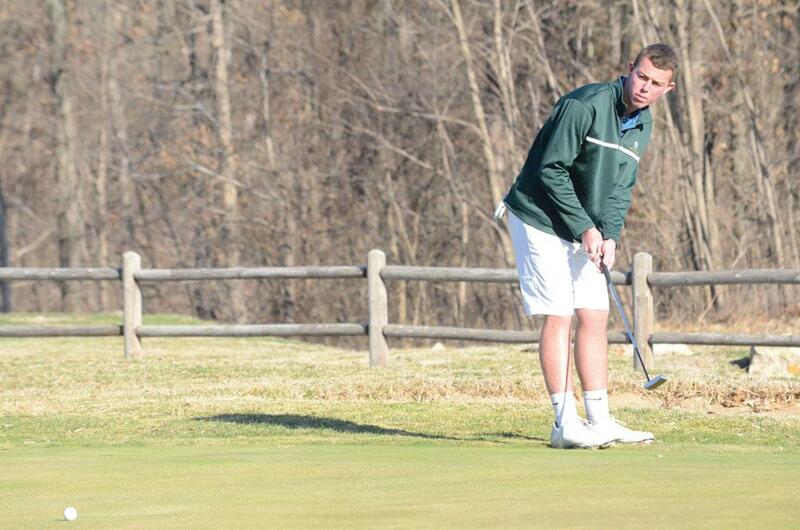 After this season, two of the team’s senior golf players are planning on taking separate routes for college. Knoesel will be leaving the state by committing to the University of Tulsa, while Echelmeier will stay in Columbia and play for Mizzou. Knoesel gives his father due credit for helping him throughout his high school golf journey. For providing him with great coaching throughout his high school career, Echelmeier gave Daniels a big shout out.